BETTER TOGETHER. Sandra Ahren, Pa Thao, and Jeannie Mueller, along with Connie Schroedel (not pictured) are some of the founding members of the Pinehurst Neighborhood Association. Pa Thao, a longtime resident of the Pinehurst neighborhood on Eau Claire’s northeast side, noticed last summer that people were more likely to know their neighbors’ dogs’ names than the names of the neighbors. Sandra Ahren added that her husband is known as “the grill guy.” Both wanted to see the people they live among grow closer and more connected, and to that end spent the frigid and dark months knocking on doors, learning peoples’ names, and getting a neighborhood association started. Ahren, who recently retired from a career in peer support, had lived in the Pinehurst neighborhood for a while, but travelled a lot for her job. When her focus turned toward Pinehurst, she found she wanted to bring people together to create a more connected and engaged community. “I think being a neighbor is basically a form of peer support,” she said. Interest in establishing the association is picking up as the weather grows warmer, the organizers said. With that in mind, they are preparing to use that momentum to plan a block party for this summer. The planning meeting for the event is scheduled for April 30 at 6pm at the Pinehurst Park shelter. Community members are welcome to attend and listen, contribute ideas, or even volunteer in some capacity. As of right now, meetings are more organic than structured, Ahren said, which allows people to participate at the level they are most comfortable with. “Block parties pave the way,” Ahren said. They help people get to know one another, priming neighbors to build new relationships, cooperate with one another, and have confidence in the people they live with. “We can walk out the door and feel comfortable and confident that this is our community,” Thao said. She hopes that the association will result in a close-knit, trustworthy neighborhood where kids can grow up and expand their horizons safely. The Pinehurst Neighborhood Association encompasses a wedge-shaped area bordered on the west by North Hastings Way, the south by Eddy Lane, the north by the Drylock and Presto facilities, and the east by Pinehurst Park and the city limits. 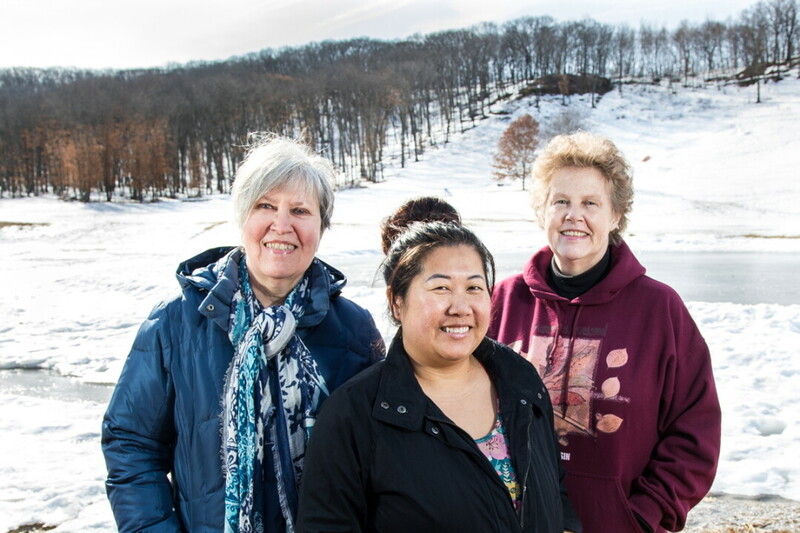 Thao and Ahren have been working to launch the association with several others, including Connie Schroedel and Jeannie Mueller. Mueller has been involved since the beginning of the effort, after having helped install a playground at Pinehurst Park last year. According to Ahren, Mueller is known as “the flower lady” and is “a one-woman beautification campaign.” Schroedel met her and Thao at City Hall last year and immediately added her energy to the cause. Ahren is a newer member to the group, and says one of her strengths is that she can knock on doors with the best of them. “It’s because of Pa, Jeannie, and Connie that I have something to join and a way to get more connected!” Ahren said. The Pinehurst Neighborhood Association is on Facebook. Residents can view the page for information, announcements, and events. The block party planning meeting will take place at the Pinehurst Park shelter at 6pm on Tuesday, April 30. Meetings are child-friendly, and a volunteer will supervise the playground during discussion.